Air ambulances are becoming year by year extremely important for transporting patients in any country of the world. However it happens in many counties, such as US that if you receive an air ambulance transportation and care, you will be the one to pay. And you will believe me if I saythat it costs a fortune! 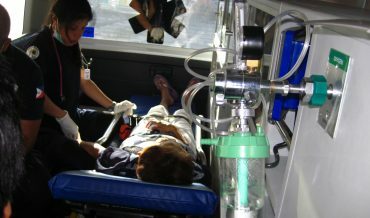 The story of a young boy recovered in pediatric intensive-care unit, suffering of an apparent encephalitis, let us know how problematic is being flied with an air ambulance. Three years later, his parents are still reckoning with the aftermath of his 76-mile flight: a bill for $45,930 from for-profit helicopter operator Air Methods. At the heart of the dispute there is a gap between what insurance will pay for the flight and what Air Methods says it must charge to keep flying. The todler’s father,a track coach at Concord University, had health coverage through a plan for public employees. It paid $6,704—the amount, it says, Medicare would have paid for the trip. Air Methods billed the family for the rest. The U.S. air-ambulance fleet has doubled in size in the past 15 years to nearly 900 helicopters making 300,000 flights annually, according to data compiled by Ira Blumen, a professor of emergency medicine and director of University of Chicago Aeromedical Network. The matter is the kid had a real need for the trip, it could not have any other possibility to be recovered in time or at least, in the quickest way to be treated without complications. “I was angry and I felt like we were being taken advantage of,” said the mother. 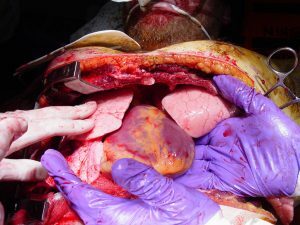 The family sued Air Methods in August 2017, seeking certification for a class-action lawsuit against the company on behalf of other patients in West Virginia who received similar bills. Air Methods has defended its billing and disputed other allegations in the complaint in court filings. The case is pending. Favorable treatment under federal law means air-ambulance companies, unlike their counterparts on the ground, have few restrictions on what they can charge for their services. 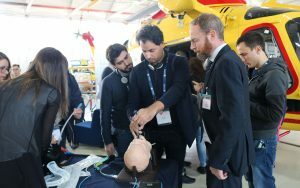 As air-ambulance operators expanded their networks and responded to a wider set of emergencies, including traumas, strokes and heart attacks, prices for emergency medical flights have increased dramatically, . The median charge to Medicare for a medical helicopter flight more than doubled to almost $30,000 in 2014, from $14,000 in 2010, according to a report last year by the U.S. Government Accountability Office. The matter related to the insurances is a sad data: Medicare, the federal health program for people 65 and older, pays only a fraction of billed charges, while Medicaid, the state-federal program for the poor, pays even less. 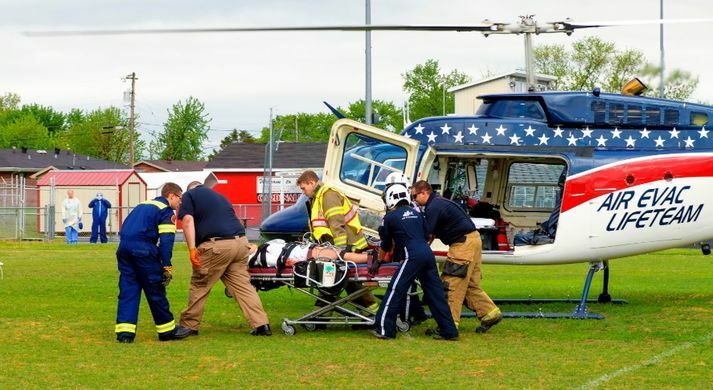 In 2016, West Virginia’s legislature passed a law capping what its employee-health plan—which covered the kid mentioned before—and its worker-compensation program would pay for air ambulances. 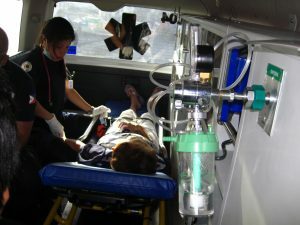 Another company, Air Evac EMS, successfully challenged the caps in federal court. A judge ruled that the caps were pre-empted by the federal deregulation law and blocked the state from enforcing them. West Virginia has appealed the ruling. The industry has used similar arguments to fight regulation in other states, winning cases in North Carolina, North Dakota, Texas and Wyoming. American Securities LLC bought Air Methods for $2.5 billion in March 2017. Rival Air Medical Group Holdings, which includes Air Evac and several other brands, has been owned by New York private-equity firm KKR & Co. LP since 2015. Two-thirds of medical helicopters operating in 2015 belonged to three for-profit providers, the GAO said in its report. But, why insurances pay so less for the patients while they should be a way to help them, not to distress them? As for the president of Air Evac, Seth Myers, he declared that his company loses money on patients covered by Medicaid and Medicare, as well as those with no insurance. That’s about 75 percent of the people it flies. According to a 2017 report commissioned by the Association of Air Medical Services, an industry trade group, the typical cost per flight was $10,199 in 2015, and Medicare paid only 59 percent that. The bill would also have Medicare collect cost data from air-ambulance companies and use it to update rates to reflect “the actual costs of providing air ambulance services.” Both versions have co-sponsors from both parties.